When a fallen angel is mistakenly resurrected from the blood of an evil "Watcher" taken from the Shroud of Turin, the fiend's first gift to the world is an unstoppable plague. Dr. Jon Bondurant, the forensic anthropologist and avowed atheist, joins with devout Domenika Josef to bring another child of the Shroud into the world to save it, this one borne of DNA believed to be that of Jesus Christ. Can this child be the answer to their - and mankind's - prayers? 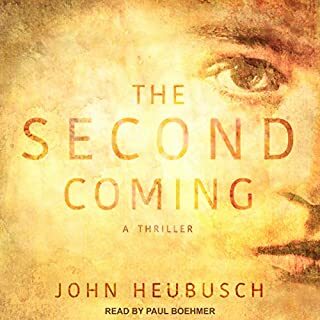 An interesting premise, but the author seemed to lack actual knowledge of the Catholic Church and the narrator made the book sound more like an infomercial than a story about the forces of heaven and hell. The narrator may have been the most distracting part, taking away from a story line that had potential. This is a really interesting look into the Trump campaign but, wow, the narrator is difficult to tolerate. He sounds like Casey Kasem doing American Top 40. 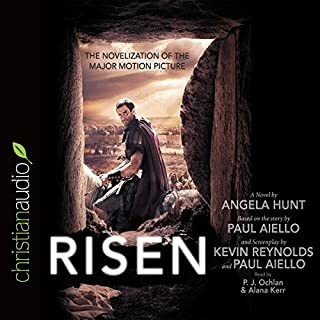 I enjoyed the premise of the book and the idea that the body of Christ, after the Resurrection, would have been searched for by the Romans so as to prove He was just an ordinary man. The book has a lot more to it than the movie, with additional characters and insight into their personalities. I think in both, although more so in the movie, the sheer awe of seeing this Man, whom you helped to kill, is now alive and walking the earth again, is missing, but the writer gets close to it in the book. 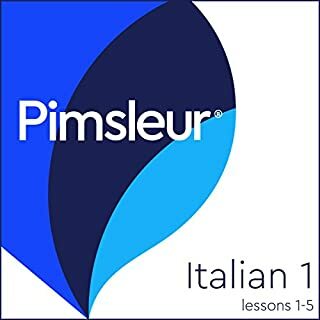 I've only done 10 units of Pimsleur's Digital Italian but I've enjoyed it because it's fast moving and makes more sense than something like Rosetta Stone's Italian version which often takes too big of a leap between one lesson to the next for the student to fully grasp the meaning of words and grammar. In Pimsleur's there is a good variety of new words and phrases introduced with each unit, interspersed with a review of ones already learned in a logical sequence. Ever since Stieg Larsson shone a light on the brilliance of Swedish crime writing with his acclaimed and best-selling Millennium trilogy, listeners around the world have sought out and devoured the crime fiction of his countrymen (and women), many of whom have proved to be some of the greatest masters of the genre. 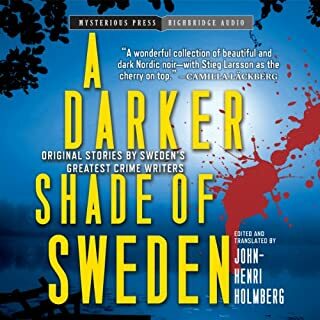 In this landmark and unique publication, Sweden's most distinguished and best-loved crime writers have contributed stories to an anthology that promises to thrill even the most jaded mystery listener. I kept listening to this assortment of dull crime stories, hoping that one would actually be good. My hope was never realized. The only interesting part was my cat's reaction to the 'mysterious' music that was played in between each story; it scared the heck out of her. After all the great reviews I've read about this book I was surprised at how little it really had to offer. It's a lengthy listen and I kept hanging in there with it, hoping that something incredible was about to happen that would live up to all the hype this book has received, but alas, it just continues on and on as the main character, Theo, continues the same pattern of drug addiction and uncertainty without any perceptible goals. In a way it's about a person who never lives up to his potential although what that potential might be, I really don't know because he never seems too interested in much of anything. 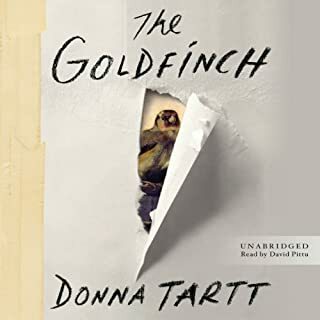 He does have a manic attachment to The Goldfinch painting, which he absconds with after an explosion in a museum that kills his mother. He hides it away for fear that it will be discovered by someone and basically spends a lot of time fretting over it and wasting it's beauty and depriving everyone of seeing it by wrapping it up tightly and keeping it taped behind his bed or in a storage unit for years, a place he eventually becomes too paranoid to even visit. It is also way too long for the story it has to tell. David Pittu's narration is good, freaky good with voices he gives to some characters, but a little annoying in how he portrays others. He covers alot of voices though, and you can't win 'em all. 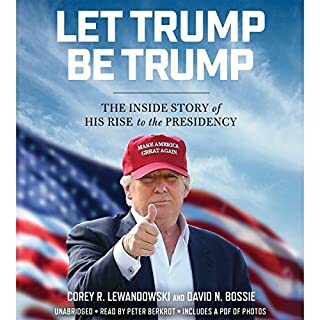 I don't think I would recommend the book because it just wasn't that interesting. It could have been half as long and perhaps that would have helped. Mild-mannered Walter Mitty is a day-dreamer who escapes his anonymous life by disappearing into a world of fantasies filled with heroism, romance and action. This well-known and beloved tale has launched its famous protagonist into the cultural lexicon, warranting his inclusion in English-language dictionaries and countless anthologies. 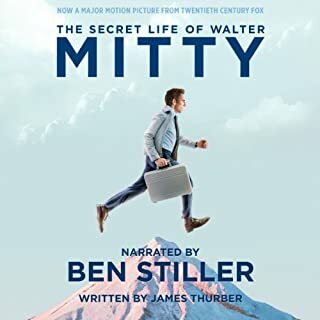 Stiller's imaginative performance as Mitty is the perfect re-introduction to the classic character and a great preface to the upcoming film, for longtime fans and new listeners alike. We Only Live Once. Or Do We? Great narration by Ben Stiller of a fun little story. A nice diversion and a pleasant escape. 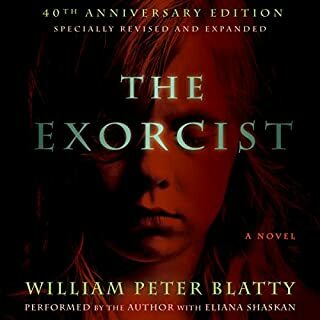 William Peter Blatty did a great job of narrating this chilling, and may I say, very real account of demonic possession. He included the humanity, the questioning of Faith and in the end the regaining of belief. I was pleasantly surprised at just how good it was. Allan Corduner gives an excellent narration throughout as he gives life to each character in the book. His quirky and sometimes wistful voice of 'Death' making his sad journey through ravaged Germany nearing the end of WWII, is very good. 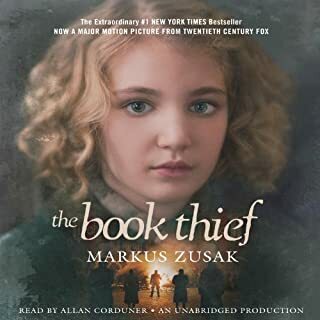 He even makes the Book Thief herself, little Lisel Meminger, vividly come to life with the cadence and innocence of his expression. I thought the story was a very good one about human tragedy and resilience with the players facing each event that comes their way with humor, courage and often sadness. Better than the movie and alot more satisfying. 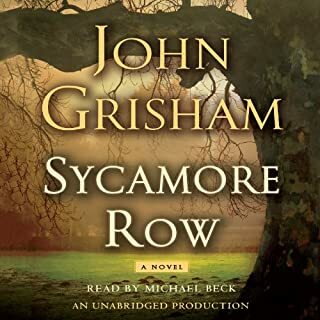 The narrator did a great job using a variety of Southern accents (it was amusing that one sounded like an Andy Griffith immitation and another Bill Clinton, though I must say he came up with alot of different character voices) but the story was very dull throughout. I kept thinking, when is this thing going to be over? How can John Grisham write so much about so little? The big shocker ending was anything but and easily figured out about half way through the novel. I would not recommend this limited, though lengthy, book.